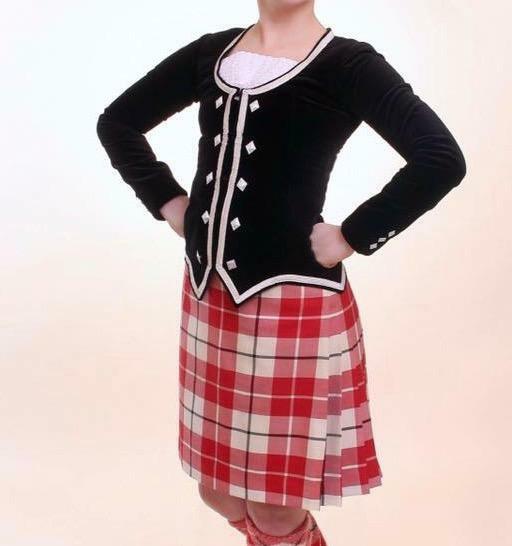 dance.net - Dress Red McRae of Conchra Kilt and Black Jacket (10245140) - Read article: Ballet, Jazz, Modern, Hip Hop, Tap, Irish, Disco, Twirling, Cheer: Photos, Chat, Games, Jobs, Events! Jacket made by Gloria Weir in 2014 in excellent condition. Sleeve from shoulder seam to cuff: 21 1/2"
Nape of neck to point: 19 3/4"
Asking $575 Canadian plus shipping. Located in Ontario. 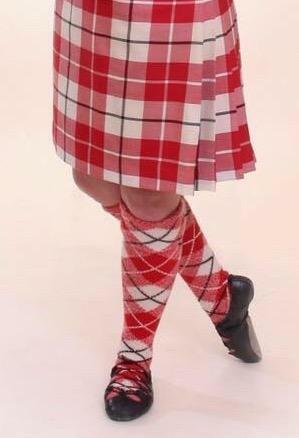 Is this a full kilt or a kiltie? Do you have hose to go with it? This is a full kilt. We were going to keep the socks but would include them for an extra $90 CDN. Made by by Bonnie Tartan. what are the dimensions on the hose? are you willing to sell the kilt separate from the jacket? Can post measurements and picture of socks later today. Separately I would be asking $400 for the kilt, $200 for the jacket and $90 for the socks. Plus shipping. Here is the photo showing the socks. They measure: foot 8" and heel to top turned down 16" , calf 10"
How many yards is the kilt and when was it made? 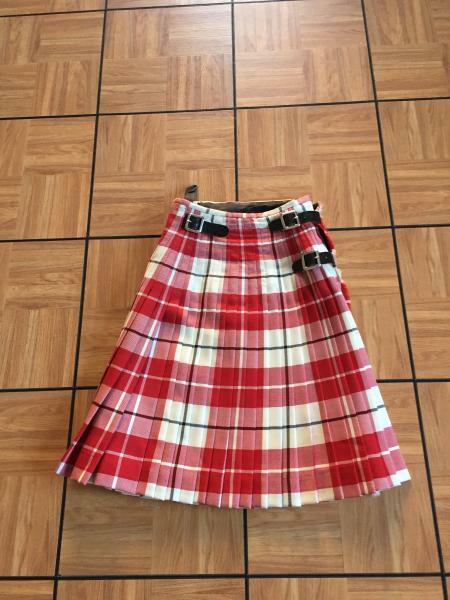 I purchased this kilt for my daughter used from Scotland in 2012 when she was 12. It was in good condition then and is in the same good condition today. When we purchased the kilt it had more hem. What I am showing is the last jacket and socks she has worn with it. It has 25 pleats, the width of the pleat is 3/4" and the depth of the pleat is 2 3/4". I am not sure how many yards this is, but the pleats have been done to nicely show the tartan set as the photo shows. We are purchasing a new outfit as at 17 she has outgrown this kilt and jacket. We are willing to sell the socks but will not sell the socks separately. Did you get my pm from the weekend? Yes, I replied with shipping costs but have not received another message back. I never saw it - can you send me the info. Please email Sheila.a.maclean@rogers.com and we can talk.